CBD: Right to relief? Risks? Should we allow this substance? This is a real debate that for months rages on the legality of the marketing of the famous "CBD" (Cannabidiol). Samples containing this substance cannabinoid, which comes from cannabis plants banned in France, most often contain traces of THC (tetrahydrocannabinol). This psychoactive substance responsible for the risk of cannabis addiction is banned from use and sale in France. In June 2018, the MILDECA (Interministerial Mission of fight against the drugs and the addictive behaviors), during a update on legislation recalled that cannabidiol is not legal cannabis, and that it should not encourage the consumption of the latter nor sell it under the guise of therapeutic virtues, this promotion being reserved only for authorized drugs. Under these conditions, the sale of these products based on cannabidiol is prohibited in France while the substance itself is not. However, evidence suggests that cannabidiol may be useful in some medical situations, particularly in the treatment of epilepsy. Four categories of users with an illness may be concerned about this use of cannabidiol. The least numerous, but most vulnerable, could be children with epilepsy poorly controlled by conventional drugs. Some parents legitimately seek all possible solutions to limit the intensity and frequency of seizures. The many studies on theinterest of cannabidiol in this disorder (most often associated with an anti-epileptic drug) can lead them to administer to their child products containing cannabidiol without really knowing the quality. A second population is that of cannabis users. It has many more members, given the prevalence of this use in France. Cannabidiol-based products, often intended for smoking or even vaping, are falsely offered to these people as a legal substitute for cannabis, or even as a weaning aid. A third population, that of individuals suffering from mental disorders (chronic anxiety, chronic depression or even schizophrenia), may be tempted to consume cannabidiol in search of an anxiolytic or antipsychotic effect, or even to interrupt their drug treatments. Finally, the fourth population potentially exposed to cannabidiol would consist of older people suffering from mild pain and looking for alternatives to drug solutions. In a context of growing distrust of the drug and evidence-based allopathic medicine, a growing number of people are looking for non-drug solutions, most often of natural origin. They are offered in shops, on the Internet or in some magazines cannabidiol preparations. 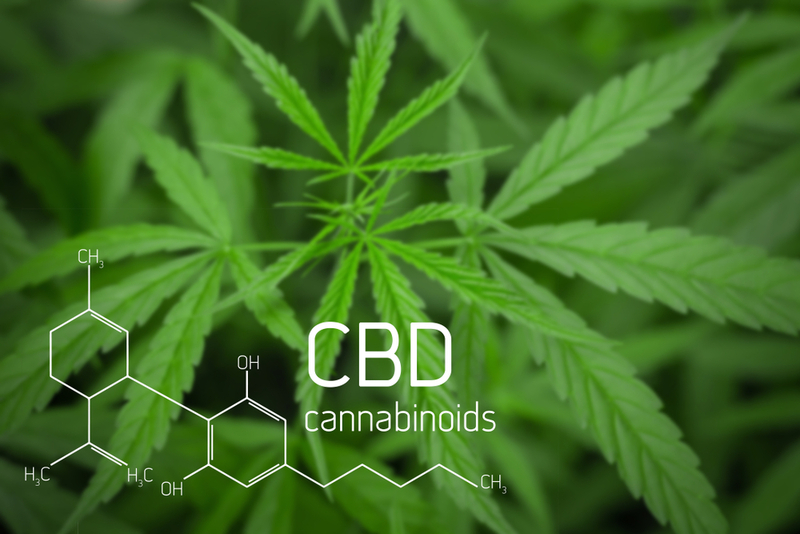 CANNABIDIOL, A SUBSTANCE THAT PRESENTS RISKS? A first medicinal product based on cannabis extract (Epidiolex®), containing cannabidiol, obtained this year in the United States a marketing authorization in the treatment of rare epileptic diseases of the child, in addition to existing antiepileptic treatments. An application is currently being filed with the European Medicines Agency (EMA) for this drug, which gives hope for a possible commercialization during the year 2019. Clinical studies on this molecule have also reported, among the most common adverse effects, the risk of fatigue, drowsiness or even lethargy. All the more common because cannabidiol will be associated with another substance that slows down the functioning of the brain such as alcohol, cannabis or certain psychotropic drugs such as anxiolytics, sleeping pills, opioid analgesics. On the other hand, given current scientific knowledge, it has not been clearly shown that there is a risk of addiction or addiction to cannabidiol. This was confirmed in June 2018 by the World Health Organization Drug Dependency Review Committee. This substance is not the subject of a report to that effect from the French health authorities.